Train Heartnet, also known as “Black Cat,“ was an infamous assassin for a secret organization called Chronos...until he abandoned that cold-blooded existence to live on his own terms as an easygoing bounty hunter. But is Train’s past as far behind him as he thinks? Vol.17 Ch.157 - Relieving Nanomachines! Vol.17 Ch.156 - Manipulated Friends! Vol.17 Ch.154 - Run Through! Vol.17 Ch.152 - The Power of Unity! Vol.17 Ch.151 - Two Memories! Vol.17 Ch.150 - The Claws of the Black Cat! Vol.16 Ch.148 - Attack! Art of Seals! Vol.16 Ch.146 - Raging Battle! The Demonic Battle Insect! Vol.16 Ch.144 - The True Tao! Vol.16 Ch.143 - Forceful Breakthrough! Vol.16 Ch.142 - The Grasper Eye! Vol.15 Ch.140 - And the Bullet Stopped! Vol.15 Ch.135 - I'll Risk My Fist! Vol.14 Ch.131 - The Airborne Enemy! 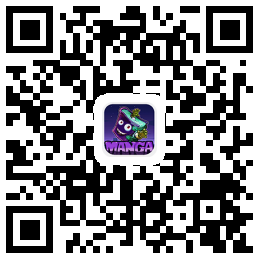 Vol.14 Ch.130 - Danger on the Sea! Vol.14 Ch.129 - Alliance Formed! Vol.12 Ch.110 - Attack! Counterattack!